Our stylists will listen to your needs and wants and will help you create a look that will suit you most. With the experience and knowledge they have, they will provide a style that will be easy to look after at home, with the additional advice on how to take care of your new hair style. Our stylists are here to provide you with the style you want, whether it be a casual look or something more sophisticated for work. We are sure you will be satisfied with our skills. We have a variety of colours on site. From fashion colouring to covering up your greys, our stylists are all experienced in customising a special colouring just for you to suit your needs. We use permanent colouring which gives you a clear shade from the core of your hair. 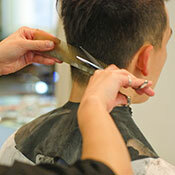 Our highly experiences stylists are able to help you choose the best style for you. 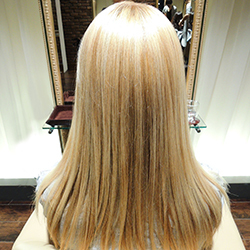 We do point highlights or full-head highlights with a very natural look. 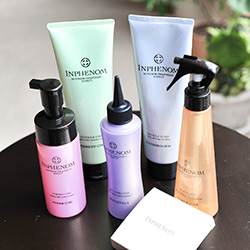 We use products that are less damaging to your hair which suits both healthy and damaged hair. 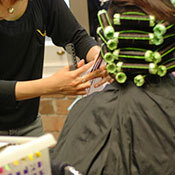 Our stylists are here to help you create the curls you want, as well as something that is easy to take care of at home. 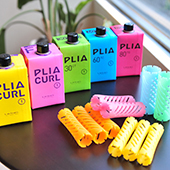 This creates larger, bouncier curls that last longer than a normal perm. It looks very natural, just like using a hair iron. Wash and dry your hair using the technique our stylists will teach you to bring back your curls as if you had just had it done. 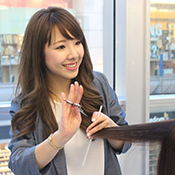 Using Japanese products, this treatment gives you a natural straight look with a smooth finish. We also do point straightening as well so please feel free yo ask more about it. The silky treatment not only helps recover your everyday damages to your hair but it also cares for your scalp. It gives a smooth, soft finish without weighing your hair down. Using five different products, the deluxe treatment rehydrates the damaged hair by nourishing and replenishing hair from the inside. It keeps your hair shiny and reduces volume and further damage. This treatment comes with a special home-care treatment to keep your hair looking smooth and bright for longer. Our cleansing gel and scalp oil, gently removes heavy residues, resulting in a healthier scalp and hair. A healthy scalp can reduce hair loss and prevents irritation of the scalp. While conditioning and massaging your scalp for microcirculation, this treatment helps create healthy hair growth and boosts fine hair. 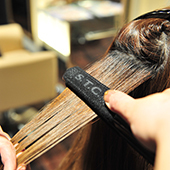 Get your hair washed by our stylists with a relaxing head massage and have it blow dried professionally. We can style your hair to meet your needs. Shampoo and dry is including in our hair cuts but if you are looking for a colour/perm only, there will be an extra charge for the shampoo and dry. Looking to get your hair styled up? Our stylists are here to provide you with the style you want for your special occasion. Feel free to ask them for advice on what will suit you and the outfit you are wearing. We provide natural every day make up to something a little more fancy for your special day. We are always available to help you choose what you are looking for. We know how fast a fringe grows and how irritating a long fringe can be. Why not come in for a quick fringe cut before your next full hair cut is needed. 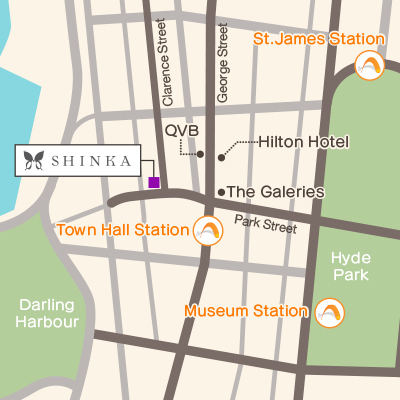 Our stylists are able to trim and shape your eyebrows as well to match your eye and face line. * Includes Shampoo & Blow Dry for hair cut.